Donna Marchant from District 99 Support Staff Association has won an ESP STAR award. She has served her association as a board member, executive board member and as a former president for several years. She does an excellent job in identifying and recruiting union-minded activists and leaders for the local. She recognizes members’ individual talents and encourages them to use those talents to better the organization. Donna not only promotes public education in the community but makes the time to stand with other local ESP chapters in fighting for a decent wage or celebrating their successes. Donna has been a strong leader for the association and a powerful advocate for her union. She has brought the importance of ESPs to the faces of the board of education and administration within her district. This has led to ESP celebrations being completely funded by the district or the teacher union, better contract language in the collective bargaining agreement and solid relationships with members. Even after finishing her service on the governing board, Donna continues to volunteer her time and efforts in maintaining her support for the association. 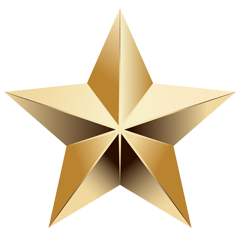 Local association presidents, please click here to nominate members of your local association for an ESP STAR! Congratulations! New ESP Local in Lake Forest! 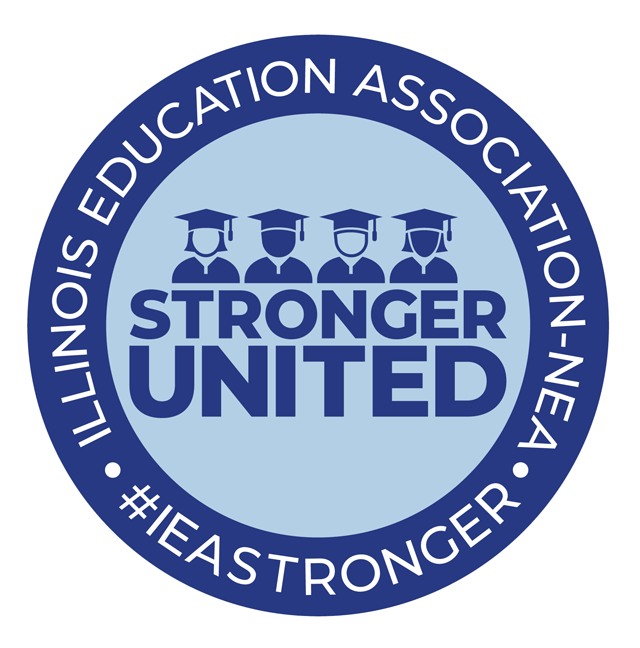 On March 9, the Illinois Educational Labor Relations Board (IELRB) issued an order of certification for IEA’s newest local, which represents all 117 ESPs in Lake Forest High School District 115. These workers began organizing in September and in February, filed a quick campaign supported by the signed authorizations of more than 70 percent of the staff. With this victory, IEA now represents all certified and non-certified staff in the district. If you know of a group of employees who want to form their own union, please connect them to IEA organizing at mike.lamb@ieanea.org. 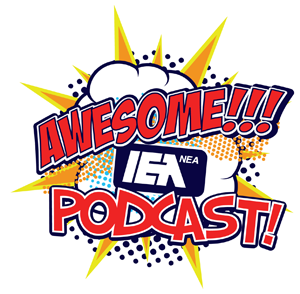 Background information on organizing an IEA union can be found on the IEA website. The Illinois Environmental Protection Agency (EPA) has announced the $11 million dollars resulting from a national settlement with Volkswagen will result in a mitigation plan now available for review on the EPA’s website along with helpful background information and graphics. Written input on the draft plan can be sent directly to the EPA and will be accepted through April 20. Your state council met on Sat., March 3 in Naperville. ESP Assemblies held in Elgin, Palatine and Rockford joined the council meeting via video conference. Leaders Rosella Bartoli and Anita Jamnik from the Palatine D15 ESPA in Region 42 attended the Palatine assembly and shared how they encouraged members to remain united during their recent strike. EOPA President Charity Myers attended the Rockford assembly and explained how her union of office professionals gained strength through individual conversations which created the foundation for action together. The next ESP Council meeting is scheduled for Sat., May 5 at 9 a.m. in Naperville. The ESP Assembly locations will be in Springfield and Naperville. If you are interested in hosting an ESP Assembly at an IEA office in your area, please contact Alex Wallace. To read your council’s February 2018 report to the IEA Board of Directors, click here. Huntley ESPA held a member engagement event to connect with fee payers in the local. At the event the local association explained the benefits of union membership and signed up 30 new members. The local association continues to engage in personal outreach in the buildings, as well as with individual fee payers. HESPA President Tammy Fabis organized the event in conjunction with NEA Member Benefits, Region 54 Chair Kelly Hanaman and IEA UniServ Director Nicole Rethamel. Click here to view photos. IEA is partnering with the Illinois Federation of Teachers (IFT) and the Illinois Association of School Administrators (IASA) to co-present four workshops in April on the new Evidence-Based Funding legislation. The legislation puts more money into school districts (where it’s needed) which can help make your negotiations more productive. Please forward the Save the Date postcard to your local presidents, encouraging them to invite their superintendents to join them for one of the workshops. Arkansas Education custodial maintenance member Stephone Avery: “I saw so much hurt, and I said, ‘What can I do to help them dream again?’ So I joined my local association.” Watch the video. The early enrollment program is offered to support the spring and summer 2018 membership drives by providing “no-cost” access to coverage under the NEA Educator Employment Liability Program. This program is for employees who will be first-time members. Click here for more information. Make online connections with other school employees who do similar work – join edCommunities! CONNECT with virtual learning events to expand your professional development/job training opportunities! COLLABORATE with other school employees and education professionals! Joining NEA edCommunities means sharing your commitment and dedication through an open exchange of strengths and resources with thousands of other education employees. Free and open to all, NEA edCommunities is driven by you to foster student success. 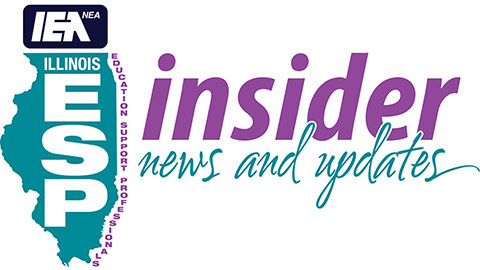 Here is your opportunity to have a voice in your statewide union and the decisions made by the union in regard to education support professionals!IEA spring election information and online voting instructions were mailed the end of March. To visit the IEA election page, log in to Members Only on the IEA website. You will need your member ID and password information to get to the voting link. If you need assistance registering, contact IEA Connect at 1-844-IEA-1800 from 7 a.m. to 7 p.m. Monday through Friday. Online voting closes/ballots due April 25. 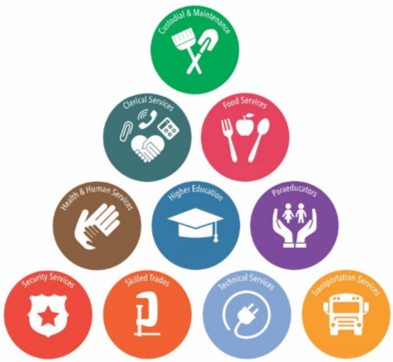 The NEA ESP Quality Department provides ESP members with resources that assist them in elevating their careers. Specific resources include websites, articles and career information. For more information on specific job categories click here and then click on the section headings throughout the page. Share your story about ESP gatherings! When you attend an event involving ESPs or hear of such an event, please send the “Who, What, When, Where, Why” and a picture to Arlene Criglar for publication in the ESP insider. This year, 202 ESP delegates will attend the IEA RA in Rosemont as part of the IEA’s highest decision-making body. Delegates will participate in the ESP open hearing, network and learn about new resources at the ESP resource center located in the JFK room (lobby level). On Friday evening, a special ESP delegate reception will be held with the state officers in attendance. April 24-26, National Louis University, Lisle. Register today! Learn how to develop a school that helps students overcome adverse childhood experiences in order to succeed. Download the flier. For additional information, visit the IEA website. TODAY is the last day to register. Farm to cafeteria is a grassroots movement powered by people like you. Join us and 1,000 local food, community health and sustainable agriculture advocates at the 9th National Farm to Cafeteria conference in Cincinnati, Ohio, this April to continue building momentum and ensure long-term sustainability for local food efforts like farm to cafeteria. National Resource Center for Paraeducators (NRCP) Conference! NEA, WEA and paraeducators from all across the country will attend the 2018 National Resource Center for Paraeducators (NRCP) Conference. This is an affordable, premier professional development experience featuring a variety of sessions that provide paraeducators with the opportunity to enhance their professional practice, foster effective teacher-paraeducator teams, and network with others from all over the country. The 2018 NEA Hispanic Caucus Leadership Conference provides a platform for members to analyze, discuss, and action plan around key issues affecting members, and educational communities, both in and outside of the association. The NEA-GLBTC, in order to eliminate institutional discrimination and homophobia, monitors and participates in the development of NEA policies and activities, provides resources and fosters better communication among educators, students and communities. 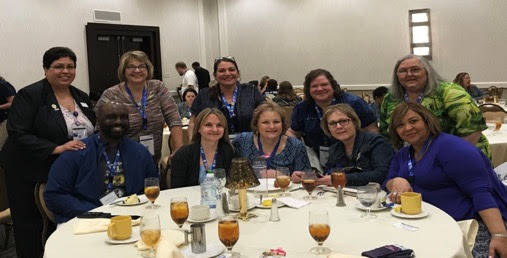 Approximately 40 IEA ESP members attended the NEA ESP Conference in Orlando, March 23-25. The conference is the premier professional development opportunity for education support professionals across the nation. The goal of the conference is to enhance the skills and knowledge of ESP members to positively impact student achievement, build community relations, organize members, advocate for educators, build stronger locals and help our members do their jobs better. More than 60 hands-on workshops were offered this year. Seated L to R: Robert Powell, Jill Scarcelli, Tina Pizzitola, Holly Fitzgerald and Natalie Copper. Standing L to R: Mary Ann Rivera, Pat Hendrix, Tami Maland, Delona Yucuis and Jenn Lattimore. To view more photos of the conference, click here. ► What do I get for one IEA dues dollar? ► Buy back your dues! ► ¡Recupera el valor de tu cuota de membresía! ► Login to Members Only to access NEA Member Benefits. ESP in Action booklet: A must-have for all education support professionals! 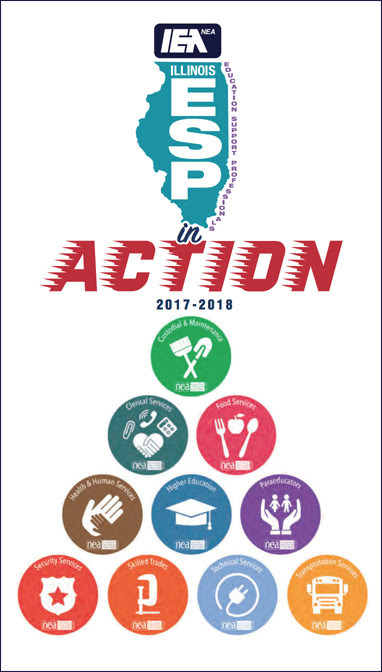 The new ESP in Action booklet is filled with information on upcoming ESP events, volunteer opportunities, professional development, resources and much more! Don’t be without this handy, compact 10-page booklet. You can view it online or request a hard copy from the ESP program office by contacting Arlene Criglar. Don’t delay – request yours today! IEA Connect is here to help by phone, email or live chat.